Dozens of people are seeking shelter after a transformer fire early Friday morning cut off power to the motel where they were staying. 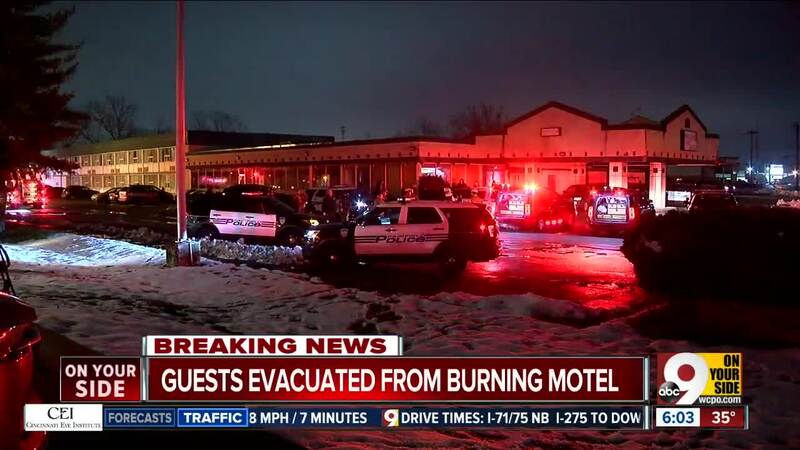 The fire started at about 3:17 a.m. at Budget Inn on Dixie Highway, police said. No one was injured, thanks to crews who exacuated about everyone from the 42 occupied rooms, according to Fairfield Fire Chief Donald Bennett. 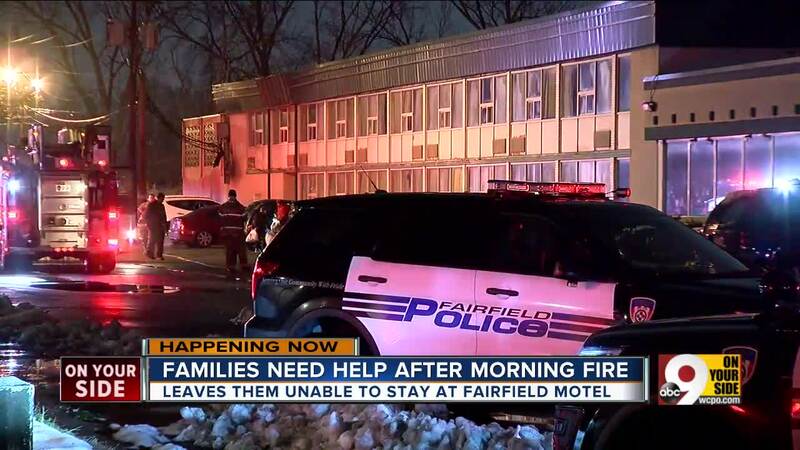 FAIRFIELD, Ohio — Dozens of people are seeking shelter after a transformer fire early Friday morning cut off power to the motel where they were staying. The fire started at about 3:17 a.m. at Budget Inn on Dixie Highway, police said. No one was injured, thanks to crews who exacuated about everyone from the 42 occupied rooms, according to Fairfield Fire Chief Donald Bennett. First responders went room-to-room, banging on doors to wake up people and warn them to get out of the building. Ila Desai has owned the Budget Inn since 2011. "I was nervous," she said. "I was worried about the people who were in the building." Fifty-five people were displaced. According to the Red Cross, just 12 of them were overnighters. The rest, like Lori Jacob, are full-time residents. They've received food and shelter at the Fitton Family YMCA. Jacob was unemployed and living in the woods until the Budget Inn offered her a housekeeping job back in October. "I've struggled this far, for this long, to succeed to work this hard, to lose it all," she said. For now, Jacob and the other people staying at the Budget Inn are waiting to get back in to retrieve their possessions. She just has a backpack with pajamas, medicine, a toothbrush, hairbrush and some socks until then. 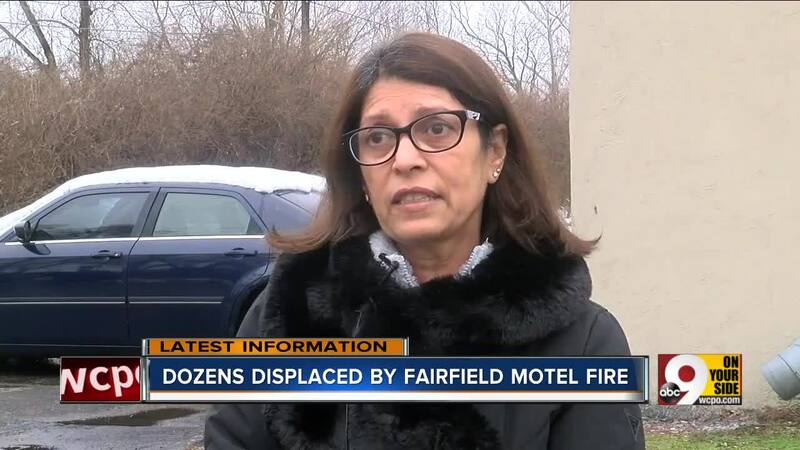 "We want out customers to come back because their belongings are in the rooms, and a lot of them just got stranded," Desai said. Shaun Higgins, the executive director of the YMCA branch, said this is the first time they've had to help out with an incident like this. "We want to be part of the solution," he said. The Red Cross is working to find either a different room in the Y for those displaced to stay, or another shelter to keep them warm. "You can't relate until it happens to you, so we have workers that are trained in the field to help people with the emotional impact that they're going through," Marita Salkowski with the American Red Cross said. Jacob said she's sure she'll find something. "I'm not giving up, not with the things I've gone through," she said. Fire officials are still investigating what specifically caused the transformer to catch on fire, but they said it's not suspicious. Until the transformer is fixed, the Budget Inn will be closed. "They said they'd fix it right and that it won't happen again because a lot of peoples' lives are at stake," Desaid said.